Quality of Life! Beautiful renovation features Ipe (Brazilian Walnut) flooring throughout, marble kitchen & bath flooring, granite counters and stainless steel appliances. Enjoy the views spanning the Koolau Mountains, Punchbowl and to the ocean. Spacious home allows you to create the perfect environment for entertaining. Enjoy the rich amenities including pool, fitness center, BBQ or relax on your lanai. Convenient location with easy access to downtown or travel the island from this central location. 2 Parking Spaces. Assigned Parking Space, Garage, Guest Parking, Street Parking. 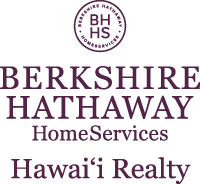 I am interested in 38 Judd Street UNIT 8B, Honolulu, HI 96817. Sign up for Inside AccessTM to view recent sales near 38 Judd Street UNIT 8B. Courtesy: Marcus & Associates, Inc.